Internal reviews find significant problems with some of Metro's contracting procedures including buses that arrive without proper documentation and a lack of guidance on or key provisions in contracts for major capital work. WASHINGTON — As Metro aims to privatize more and more of its operations, internal reviews find significant problems with some of Metro’s contracting procedures, including buses that arrive without proper documentation as well as a lack of guidance on or key provisions in contracts for major capital work. When Metro has bought new buses, it has failed to train workers on how to use and maintain them. “No training plan is in place to ensure all Metrobus operators and … personnel are trained on newly acquired buses,” an internal Metro review found. Metro buys about 100 buses each year, and overhauls 100 more. “As updated systems are introduced or major changes occur, there is … no plan in place to familiarize technicians prior to those updates being integrated into the fleet,” Metro’s quality assurance, internal compliance and oversight office said. Effective training is required to ensure proper maintenance and operation, but it is not clear that each new bus that arrives is in perfect condition in the first place. 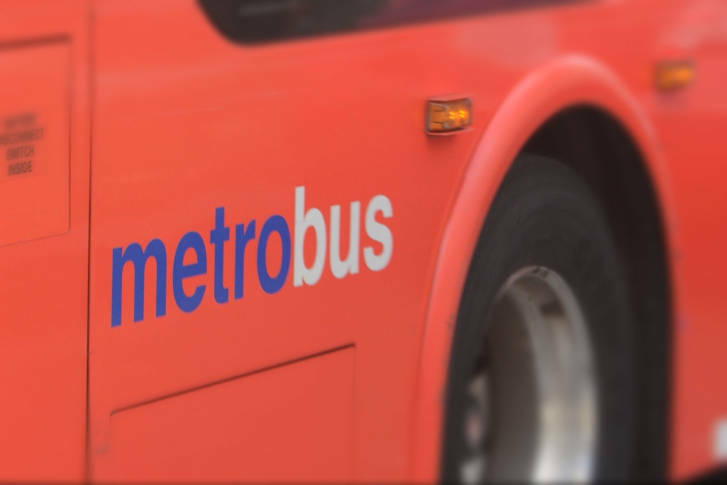 In response to the review, Metro said it would revise training requirements and develop a training plan for new buses or systems that are just beginning to be delivered. In addition to an unclear process for and a lack of tracking of changes to designs during manufacturing, Metro skipped a four-week test of the first bus in a batch to save time. That could have been a missed opportunity to identify any problems, the review found. On several buses checked at random, the review also found no evidence that some or all post-delivery inspections were properly done by Metro to be sure the buses were in good working order. Missing inspection forms include checks of the transmission, engine, hearing and air conditioning systems, engine fire suppression system, cameras, destination signs and GPS tracking. Several of those post-delivery inspection requirements were not initially included in the bus purchasing contract, which required Metro to put them out for bid separately from the actual bus purchase and bogged down the bus commissioning and acceptance process. Metro is promising to better track documents in the future through a new computer program that would be fully rolled out in early 2020. The changes are doubly important because of the significant number of problems found with the buses during the manufacturing process. While the issues are corrected before Metro accepts the bus, Metro inspectors found up to 152 defects on a single bus in April toward the end of the manufacturing process. On the positive side, Metro’s inspectors are identifying those workmanship issues and getting them corrected before the buses carry riders. Metro is also correctly tracking the work done to make those fixes. However, the review finds Metro has not done enough to get the bus manufacturers to improve oversight and boost the quality of buses being delivered by reversing the continuing trend of dozens of issues on each bus. “While these defects are corrected before delivery, the overall trend should be addressed by the vendor and followed up on by WMATA,” the review found. Metro will now request monthly analysis from the bus manufacturers of any recurring issues found by Metro’s inspectors at the manufacturing facility, including any trends and plans to address them. The reports could begin later this year or early next year. Nearly 300 Metrobus routes serve about 12,000 bus stops across the region. Metro’s current long-term plans call for a significant increase in bus purchases over the next 10 years, but the agency is in the middle of a review that could see significant cuts to bus service and realignment of other routes that would change those plans. Virginia law requires that review of potential service cuts be done next summer, but Metro expects it to take longer. Metro’s overall capital contracting policies have been unclear or missed opportunities for cost savings, a separate review found. Some contracts are missing clauses that could get Metro reimbursed for damages caused by contractors, and others inconsistently take advantage of a regional cooperative purchasing program in which Maryland, Virginia and D.C. governmental agencies can save by buying in bulk. “Continuing to enhance contract language and project management practices to ensure greater quality of future acquisitions will contribute toward improving WMATA’s quality, safety and reliability of service,” is what the review described as the “key take-away” from the bus, capital contracting and an additional 7000 Series railcar review. Each of the reviews focused on one aspect of the management and execution of Metro’s capital program, which is scheduled to spend about $1.3 billion this budget year. Metro promises to update policies and procedures to more specifically explain to the 42-member procurement office how to act on such issues as independent cost estimates, single-bid contracts, and how to ensure that contracts actually contain the full list of work that must be done. An incomplete or vague scope of work can leave work unfinished or lead to disputes later, the review said. By mid-September, Metro management said in response to the review that it would issue a staff notice on what is expected to be included in scopes of work. Later this fall, new standard operating procedures on what must be factored into single-bid analysis, on exercising a contract option and on independent cost estimates are expected. Other changes are due by the end of winter.